An instructor is responsible for teaching and research, and is expected to be able to plan and conduct courses with little or no supervision. The specific duties and expectations of the position may vary from one college or department to another. Due to the temporary nature of the title, departmental, college, and university service may or may not be a component of an instructor’s duties. Persons holding the title instructor will not be granted tenure in that title or be eligible for sabbatical leave. Instructors are not members of the University Faculty, and are not normally members of the Graduate Faculty. They are nonvoting members of their college or school faculty unless given the right to vote by the particular faculty. Instructors may be appointed for a term not to exceed two years for a maximum period of service of five academic years. The instructor title may be used when a department has a temporary vacancy (for example, a faculty member is on leave) and an instructor is appointed, either full-time or part-time, to fill some of its teaching and research responsibilities. These are temporary appointments not involving probationary tenure status. If the assigned responsibilities consist only of teaching, the title “lecturer” should be used instead of “instructor,” since the latter requires research as well as teaching activity. In some cases, the title of instructor is used at Cornell for a person whom the university intends to appoint as an assistant professor but who has not yet completed all the requirements of the expected terminal degree. The initial appointment is made at the level of instructor for a one-year term. At the discretion of the dean of the college or school, the appointment may be renewed for a second year, but if the degree remains uncompleted at the end of the second year, the appointment cannot be renewed and the offer of an assistant professorship becomes void. Time spent as instructor does not count as part of the six-year probationary tenure period, nor does it accrue leave credit. The letter from the chair offering an instructorship intended to lead to a tenure-track appointment should specify departmental expectations and probable timing for assuming an assistant professorship. 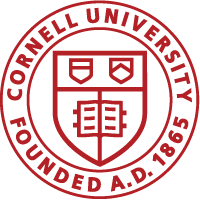 For non-Cornell degree candidates, the ensuing title change to assistant professor may be made retroactively to the beginning of the semester if the granting institution certifies that all degree requirements are met and that the conferral of the degree is imminent; the title change for Cornell degree candidates can occur only after the Graduate Faculty has voted on the degree list. In some cases, individuals who have the degree are expected to serve for a period in the rank of instructor before entering the tenure track. The instructor title may be modified with “courtesy” and “visiting.” More on modifiers.